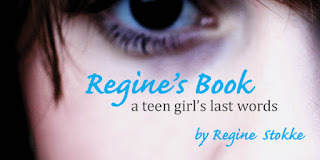 Thanks for stopping by for "Regine's Book" blog tour, which is hosted by Zest Books. 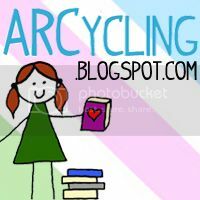 I usually don't blog about personal experiences here, which I exclusively profess my deep love of books, but I figured why not? I have two friends whom are cancer survivors and even lost one to the horrible disease, a loss that affects me to this very day. I can't imagine what's it's like for someone, especially a teen, living with cancer. For Regine Stokke, this was her reality after being diagnosed with an aggressive form of leukemia. For the next 15 months, she kept a blog about her struggles, fears, hopes, and dreams. Zest Books was kind enough to send me a copy of "Regine's Book", which I will be reviewing soon, as well as hosting a giveaway, so stay tuned! To learn more about Regine, check out an excerpt of the book on the Huffington Post. And check out Regine's blog in her native Norwegian. This was a tough read for me, but I truly felt that Regine's raw honesty - while overwhelming at times - helped to put so many things into perspective. This is definitely a book worth taking the time to read and share with others.